EDIT 2017-09-07 : created a script here that will do this autmogaically for you. Read on for full write up of how to do this. 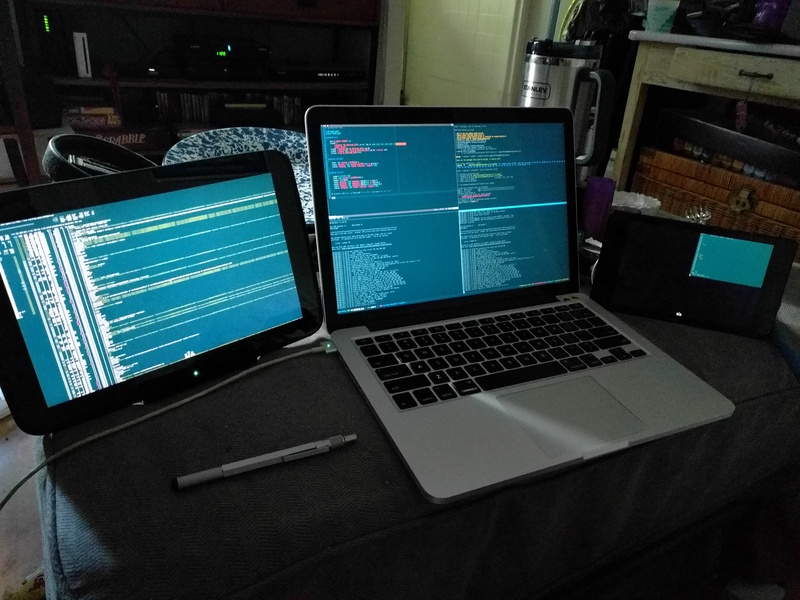 just as the name implies this article is a howto on using android tablets as external monitors. All this done over wifi so it is a little laggy but does get the job done. If you are planning on only using one tablet then you can stop after Tablet 1 and just read the cleanup section to stop / cleanup. You can substitute tablets as long as you make sure that you get your resolutions proper. we will use VIRTUAL1 for tablet 1 and eDP1 is my existing monitor. Now connect to your machine and you should be good to go. If you are only doing one table you can end here and look at the cleanup section on how to clean this up. For a second tablet, just keep reading.